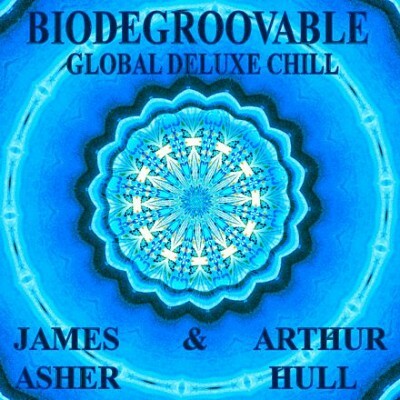 Biodegroovable EP – James Asher and Arthur Hull. James always looks forward to his annual writing session with Arthur Hull. Time was tight on this occasion, and yet somehow the music that evolved had a special chilled quality, that delighted Arthur and James. From the first track Misty Moors, where a hypnotic hangdrum phrase seems to draw in a whole mesmeric soundscape, delight followed on. Next up `Already There` – where the mood remained mellow and enjoyably relaxed. Slideways – the 3rd track – maintains an infectious groove whilst still laidback. And finally All for One combines the timeless expansive sound of the monochord with Mongolian vocals. Overall an exotic and beguiling experience.